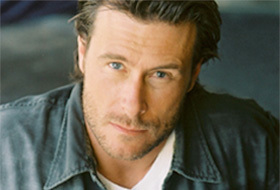 Show 12, January 5, 2013: Dean McDermott, actor. Dean is a celebrity contestant on Food Network’s “Rachael vs. Guy: Celebrity Cook-off” for Season 2. Dean lives in Los Angeles and is known for his acting chops but he’s a real serious home cook. He goes by the name of “The Gourmet Dad” at home. Dean loves to cook for his kids. The L.A.-based competition is much tougher this season. All of the challenges are done on location. The bottom two competitors each week then battle it out (culinarily) at the end of that episode with the loser going home. Dean will be back with us periodically (as far as he goes in the competition) to report on his results and the goings-on of the show. The winner takes home a cool $50,000 which is donated to their charity of choice!